I love a challenge, and I love Pinterest, so I was SO in! So I made the best of them and decided to spray paint them! I wanted to leave the labels on because I liked the texture. I think they could use another coat, but it's snowing outside.... So I will have to do that at another date. What do you think? What did you make? 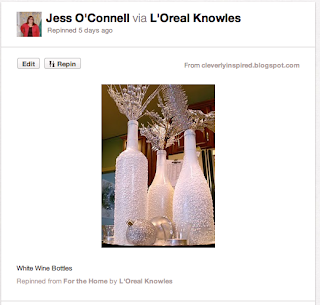 Comment with a link to your Pinterest Challenge blog! 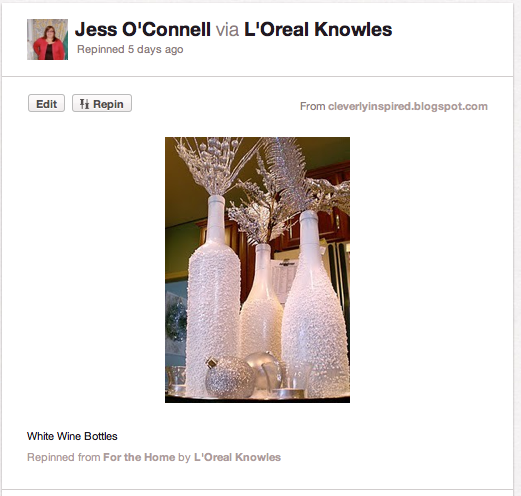 I've been pinning similar items too. 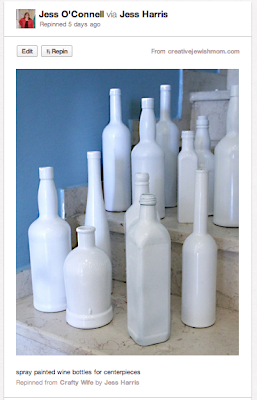 Think these could be used as flower vases? Of course, Probably only one or 2 stems, but I think they would work great! What a great idea! 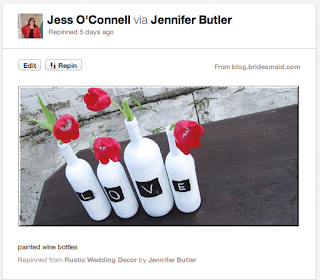 I had no idea what to do with all of my wine bottles, but now I'm feeling inspired to get crafty! Thanks!